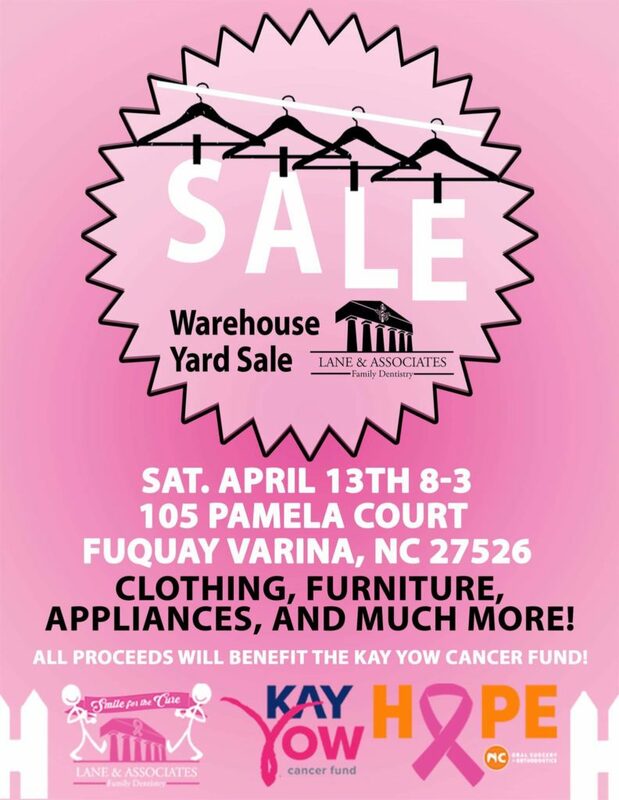 Lane & Associates Family Dentistry is hosting a Warehouse Yard Sale in which ALL PROCEEDS will benefit the Kay Yow Cancer Fund! Furniture – LARGE items you don’t want to miss! We will be updating our list with more specific items as the event approaches! Be sure to RSVP to our event on Facebook for any updates!